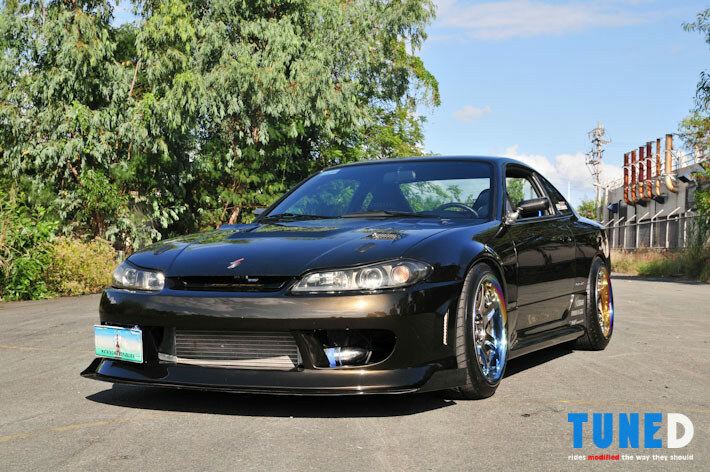 Just like most project cars, this S15 Silvia was acquired to serve as a daily driven tuner car and ‘play’ on weekends. However things took on a different turn as the owner decided to pursue a no expense, all-out build. 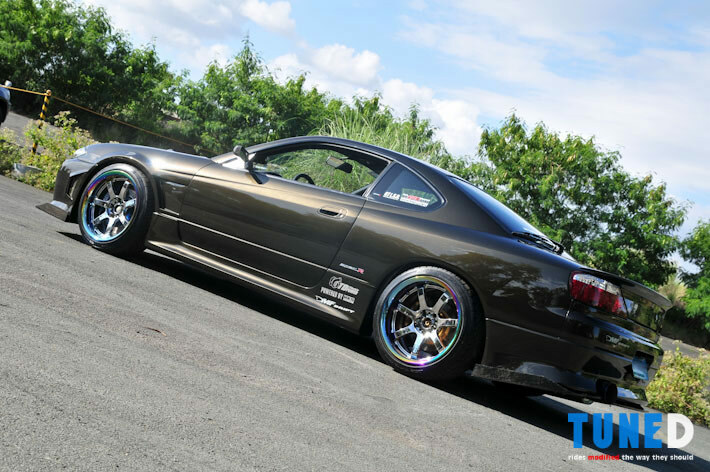 His new-found goal was to turn it into a functional drift and show car and finish it in time for the Manila Auto Salon. With no time to spare, the crew over at DMF Drift Garage stripped the car to get it ready for an extensive engine, suspension and body mods. So much for the simple plan eh? 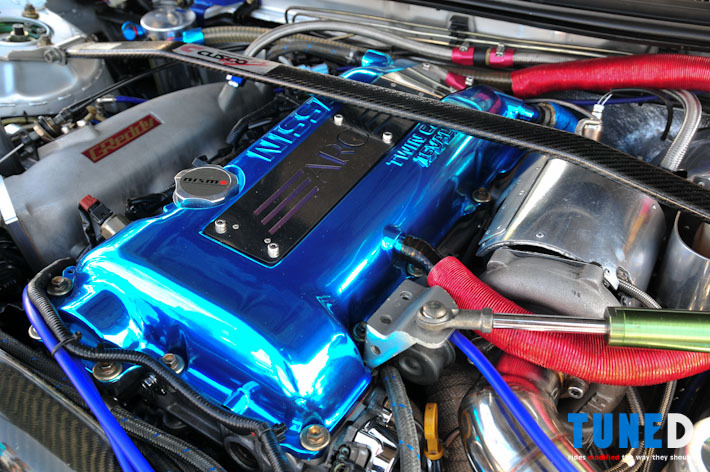 Under the hood is Nissan’s SR20DET engine that in stock form puts out around 250 horses. But since this ride is going to do drifting duties, it must have more than that in order to sustain its momentum going sideways. 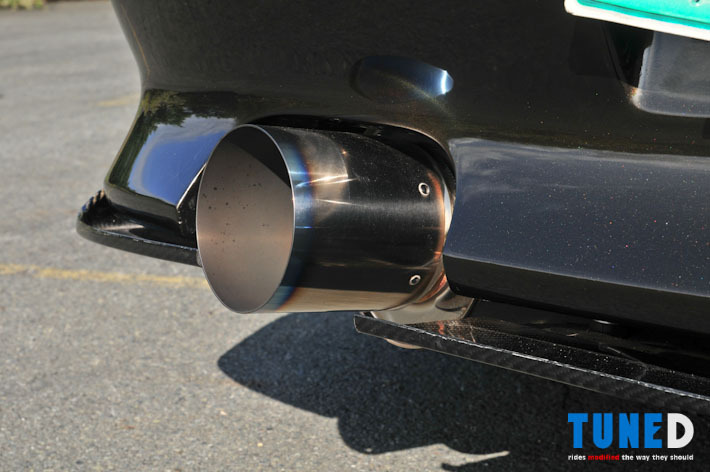 Among the many engine mods it has, the most significant ones include, a pair of TOMEI racing cams for both the intake and exhaust side that alters the torque curve of the engine. 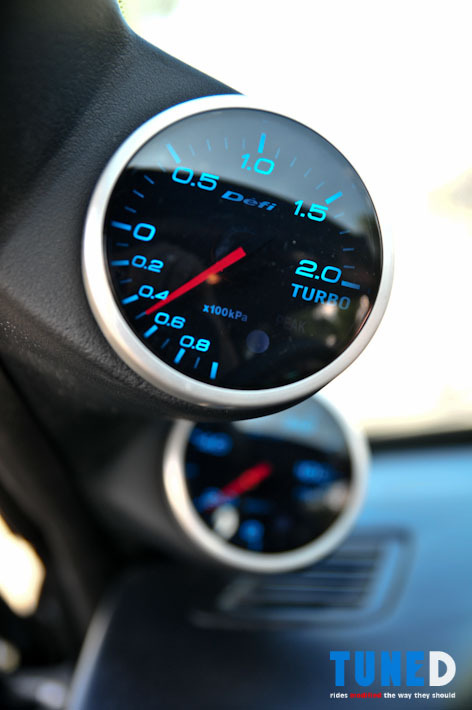 Featuring an aggressive cam duration timing and increased height of the cam lift, it enables the engine to gain maximum torque and horsepower. 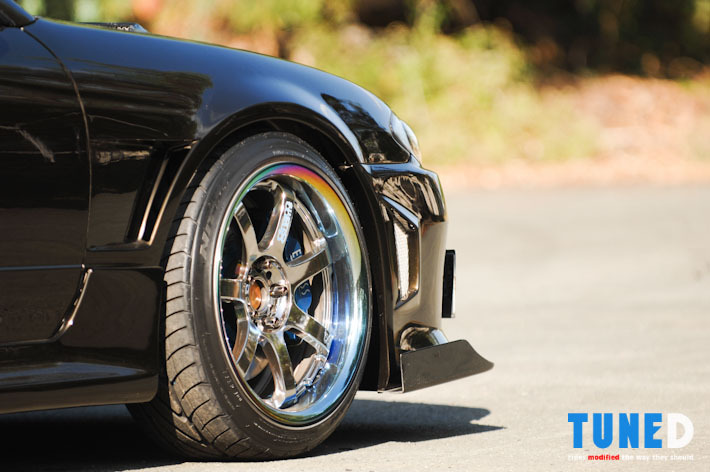 Beefing up the bottom end is a 2.2-liter stroker kit from Tomei that raises the engine’s displacement and strength. The said kit includes a set of matched forged pistons and crankshaft. The Garrett GT28R turbine benefits from a large front-mount Greddy intercooler and a DMF drift-spec top mount turbo manifold. 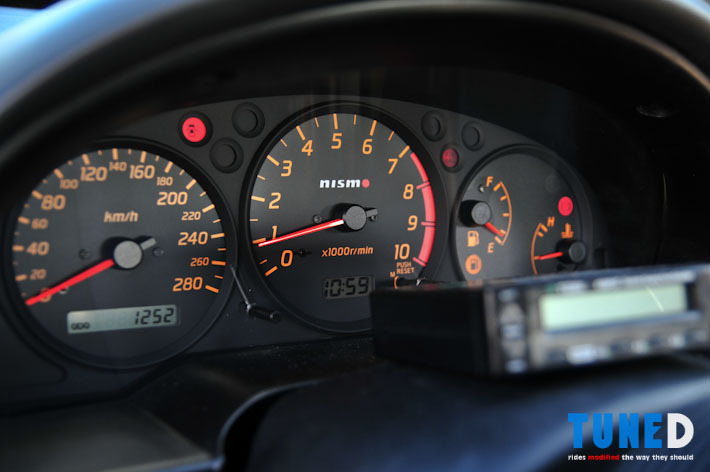 Orchestrating the engine’s entire operation is a programmable ECU from TOMEI. What’s great about this very expensive JDM ECU is that it that can be tweaked further to allow this engine to generate more horses. Underneath the ‘seam-welded’ chassis are a slew of Cusco aftermarket braces and drift-spec suspension components such as a TEIN Monoflex coilover system with EDFC. 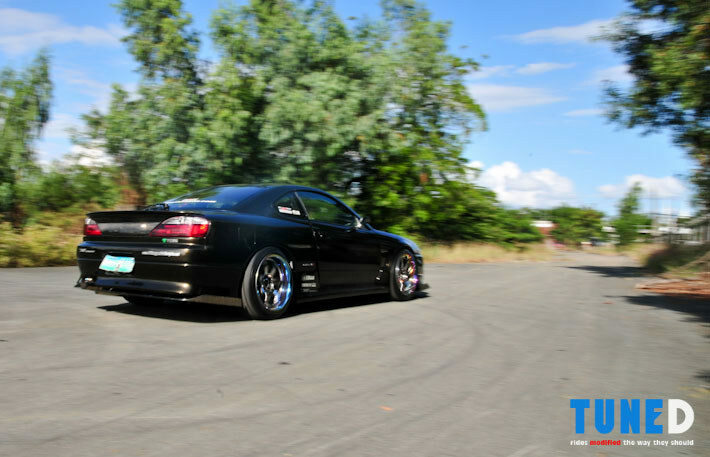 The ride qualities of the Monoflex borders on the premium and competition side of the spectrum so don’t expect a fluffy ride as this is one serious coilover. 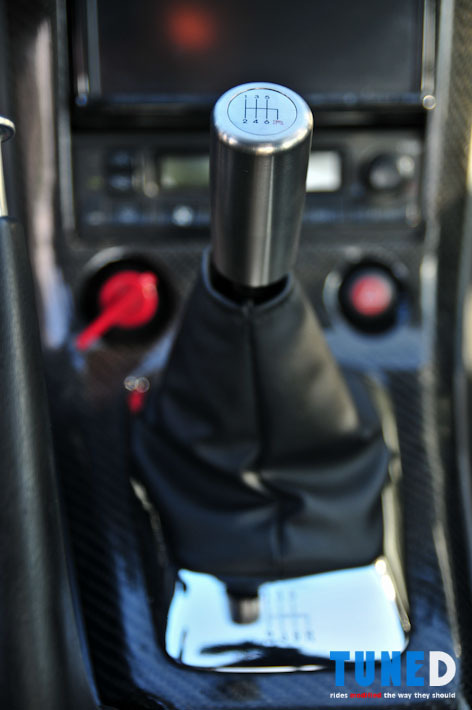 Of course, no drift-spec car would be complete without the requisite heavy-duty clutch and LSD. As such they opted to use a Nismo 2-way LSD and a Super Coppermix clutch disc. 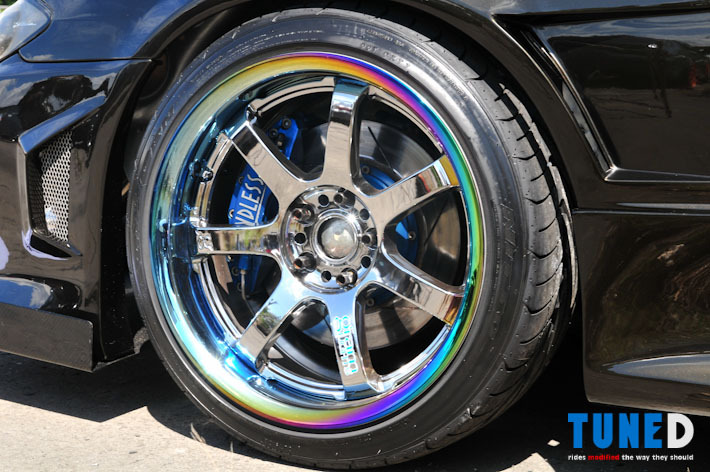 Completing the all important stance aspect is a set of 18—inch Gram lights 57S Pro Wheels that feature a specially processed lip, thereby creating a rainbow effect that’s truly eye catching. What color to paint the car also proved to be a challenge as they toyed with all sorts of colors. 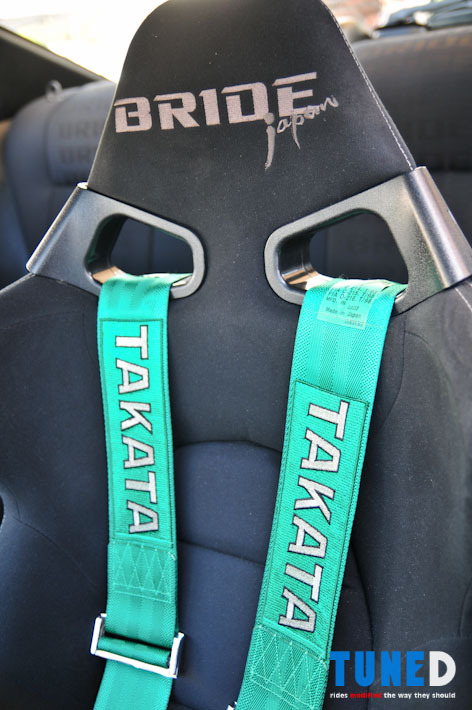 In the end it was Fluid body shop owner Gary Reyes who came up with a unique color as the owner describes, “It’s like a chameleon where the color changes from dark green during daytime and black at night which is something different… something elegant looking yet race ready anytime, anywhere”. 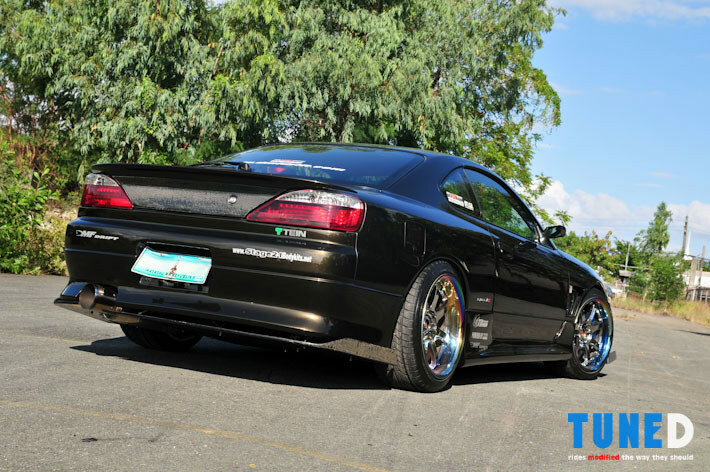 Credit also goes to Stage 21 who crafted the Vertex-inspired body kit as well as the carbon fiber panels that makes the Silvia really stand out and be noticed. 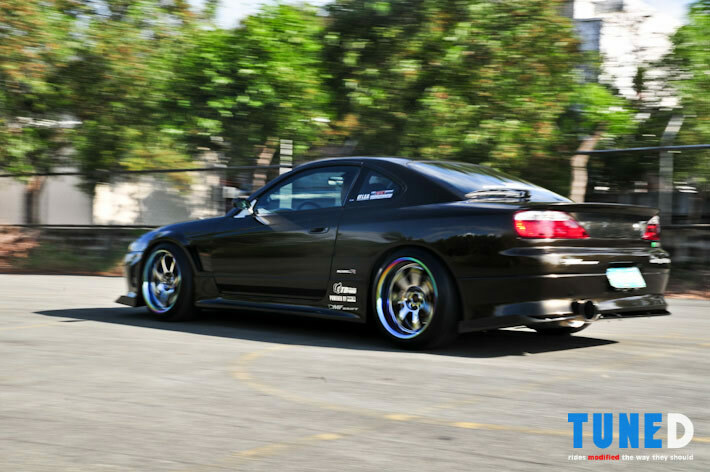 Obviously, this car has a lengthy list of JDM parts from top to bottom which accounts for its awesomeness. 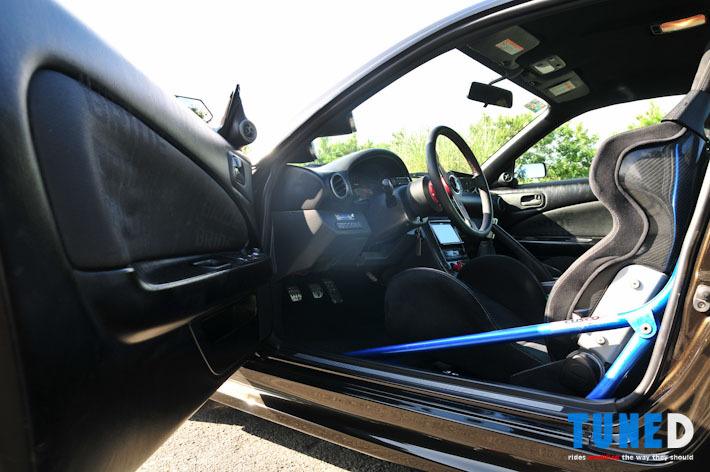 But what really makes it stand out on the numerous car shows it has entered is how seamless it all went together, thereby creating a well crafted and very functional show n’ go drift car all rolled into one. 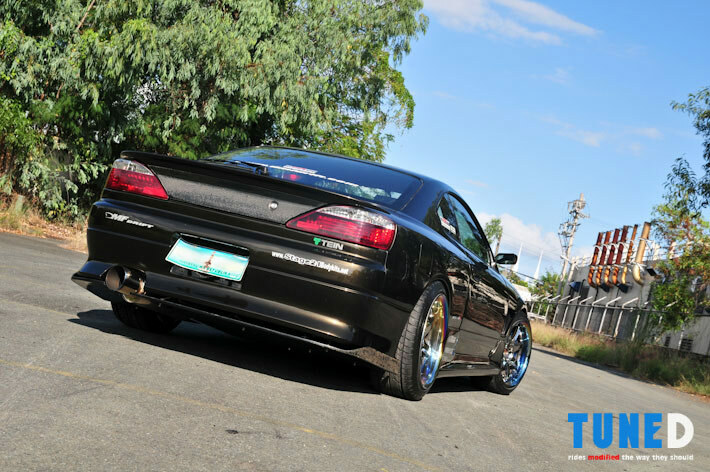 Hot Import Nights Invades Manila!